“Bear Claws: The Iron Horse Chronicles, Book Two is a historical coming of age novel written by Robert Lee Murphy. Will Braddock is a member of his uncle’s survey inspection team which is charting the westward expansion of the transcontinental railroad. Fourteen-year-old Will’s been working as the assistant to Homer, the cook. The team has been waiting out a week-long snowstorm that’s made the impact of the strange illness affecting most of them even more devastating. After setting up camp in a sheltered area of Rawlins Springs, just east of the Continental Divide, Will’s Uncle Sean rode out to get medicine and supplies from the Wells Fargo stage station, some fifteen miles away, but he hasn’t yet returned and the sick men need nourishment. Will, as the least affected member of the team, sets out to hunt and bring back a deer or antelope, but finds his hunt is interrupted when he falls into a stream and steps on an abandoned beaver trap. Readers’ Favorite awarded its Five Star seal to Eagle Talons, The Iron Horse Chronicles–Book One, last year. It is particularly gratifying that Bear Claws, the second book in my trilogy, has received Readers’ Favorite’s top award. 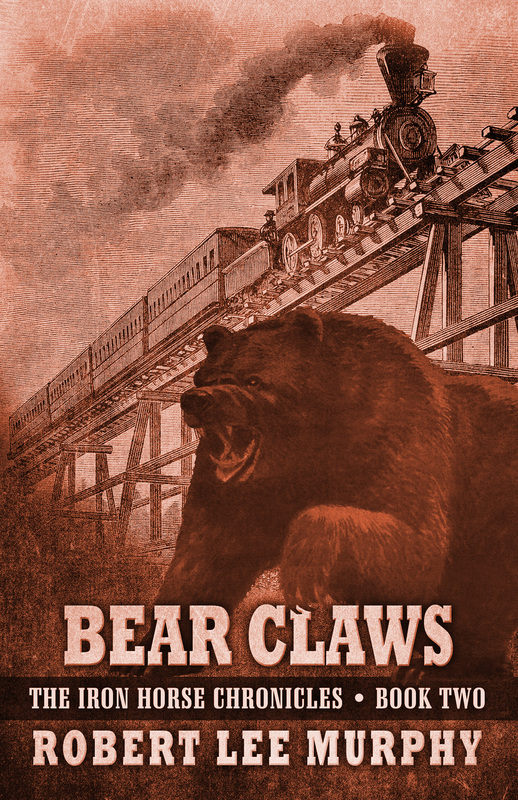 You may access the Bear Claws review at this website: https://readersfavorite.com/book-review/bear-claws. Bear Claws: The Iron Horse Chronicles, Book Two, will be released by Five Star Publishing on November 18, 2015. You may read the first three chapters of Bear Claws by going to the Books tab of this website. Bear Claws is available for pre-order at Amazon and Barnes & Noble. This entry was posted in Bear Claws - Book Two, Book Awards, Central Pacific, Eagle Talons - Book One, Geography, Indians, Iron Horse Chronicles' Characters, The Iron Horse Chronicles, Transcontinental Railroad, Union Pacific, Writing and tagged Adventure Fiction, Bear Claws, Eagle Talons, Fictional Character, First Transcontinental Railroad, Five Star Publishing, Frontier Fiction, Historical Fiction, Middle Grade Fiction, Pioneer Life, Sample Chapters, Teen Fiction, The Iron Horse Chronicles, Trains, Transcontinental Railroad Locomotives, Western Fiction, Westward Expansion (1867-1869), Will Braddock, Young Readers. Bookmark the permalink. Excellent review! So happy for you, Robert. Well-deserved.